Four leaf clover or four hearts, maybe a flower. This is a production ring; cast, filed, carved and sanded all by hand. 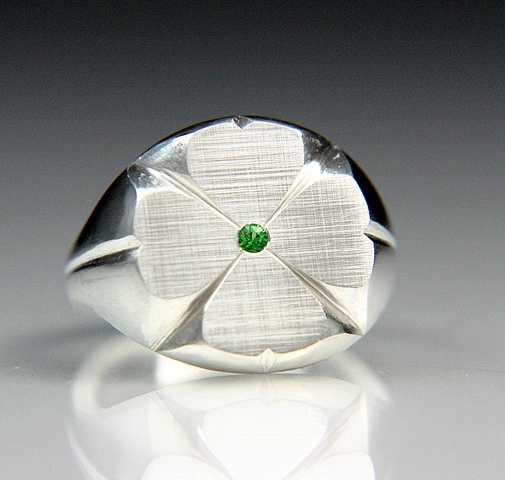 This silver ring is made with dexoy silver that does not tarnish. The bright green stone is a Tsavorite granet. We can size this ring to fit you at no extra charge!